Looking for a job in McKinley County New Mexico? This McKinley County New Mexico job guide is a resource for job seekers looking for legitimate employment opportunities in the region with an emphasis on government positions, top healthcare employers, public school careers, and major job boards. McKinley County is a great resource for ongoing job opportunities. During review there were open positions available such as Administrative Assistant, Compliance Program Manager, DWI Program Manager, Grants Manager, Uncertified Deputy (Trainee), Warden, Mobile Home Technician, Deputy Treasurer, Registered Nurse RN, Adult Detention Officer, Telecommunicator / Call Taker, and Deputy Sheriff II. Check for current listings. The City of Gallup's employment listings included Accountant, Utilities Engineer, Assistant Chief Training EMS, Firefighter II EMT Basic, Recreation Coordinator F/T, and Electric Lineworker. Visit their site for the latest employment vacancies. RMCHCS is the only non-Indian health services medical provider for an approximate 60-mile radius, providing care for patients throughout the region. RMCHCS is the only significant civilian hospital for 120 miles. During thhis review there were job openings for Pediatric Registered Nurse, Clinical Nurse Manager, Case Manager RN, Registered Nurse ICU, Intensive Care Nursing Job, Behavioral Health Tech, Breast Health Navigator, Radiographer, Mammographer, Respiratory Therapist, Health Information Management Jobs, Registered Health Information Technician, Registered Health Information Administrator (RHIA), Business Analyst IT, Intensive Care and Women's Health Unit Director, Medical Laboratory Technician MLT, Director of Med/Surg & Pediatrics, Pediatric Nurse Practitioner, Family Medicine Physician, Orthopedic Surgeon, Pediatric Physician, Clinical Nurse Manager, Registered Nurse Case Manager, Registered Nurse Circulator PACU RN, Occupational Therapist, Speech Language Pathologist, Surgical Technologist, Ultrasound Tech, Office Manager, and more. Gallup Indian Medical Center (GIMC) is a 99-bed hospital in Gallup, New Mexico. During review there had been open positions such as Community Health Nurse, Pharmacist, Physician Assistant, Nurse Anesthetist, Nurse Midwife (OC) ESEP/MP, Nurse Practitioner, Dietitian, Medical Officer (Radiology), Clinical Nurse (Emergency Room), Clinical Nurse (Labor & Delivery/Post Partum Unit), Clinical Nurse/Operating Room Nurse, Physical Therapist, Medical Technologist, Physical Therapist, Public Health Nutritionist, Dental Officer, Optometrist, Respiratory Therapist, Nurse Educator (Intensive Care Unit), Nurse Specialist (Diabetes), Supervisory Clinical Nurse, Billing Technician, Telephone Operator, Supervisory Social Worker, Medical Records Technician (Coder), Lead Clinical Nurse (Emergency Room), and more. McKinley is a 62-bed Skilled and Long-term Care facility located in Gallup, NM. It is a highly cultural facility in the midst of several Native American Reservations. 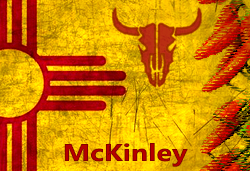 McKinley provides services to many in the rural areas of Western New Mexico and Eastern Arizona. Open positions found had included Registered Nurse RN, Licensed Practical Nurse LPN, and Speech-Language Pathologist. Positions appeared to include full-time / part-time and casual per-diem. Red Rocks Care Center hires skilled and caring clinical and rehabilitation staff. Gallup-McKinley County Schools has ongoing employment opportunities for teachers and support staff. During review employment listings included various coaching jobs, Science Teacher (incentive pay $3,000), Special Education Assistant, School Maintenance Jobs, Plumber, Roofer, Electrician, Kindergarten Teacher, School Secretary, Special Education Teacher, Social Studies Teacher, Personal Care Assistant, Educational Assistant, Registrar - Secretary, 5th Grade Teacher, 2nd Grade Teacher, 5th Grade Teacher, School Bus Attendant, Home Language Teacher, Gifted / Talented Teacher incentive pay $5,000, Special Education Teacher, Part-time teaching jobs, School Nurse, Student Nurse, Band Instructor, Art Teacher, Interpreter, School Psychologist, Vocational Teacher, Athletic Coach, and more. Six Directions Indigenous School SDIS Employment opportunities found hd included ELA Teacher, Humanities Teacher, Counselor / Social Worker, and SPED Teacher. Teachers must be willing to undertake the challenge of working in a new, small, and fast-paced school. Zuni Public School District had open positions during this survey. Some jobs found had included Elementary Teacher, Special Education Teacher, Language Arts Interventionist, PE Teacher, Elementary PE Teacher, Art Teacher, Bus Driver, and Substitute Teacher. The University of New Mexico Gallup Branch is a two-year college community college with a deep commitment to meeting the academic and career technical needs of our community. Jobs found included Grounds Tech, Financial Aid Advisor, and Custodian. New Mexico Workforce Connection is New Mexico's official online portal to virtual job matching services, employment resources, the Unemployment Insurance system, and much more. The New Mexico State job board provides ongoing and updated job vacancy listings that are sortable by city or department. The various government departments include The Board of Nursing, Children Youth & Families, Commission for the Blind, Department of Cultural Affairs, Department of Environment, Department of Game & Fish, Department of Health, Department of Public Safety, Department of Transportation, and many more. Albuquerque typically has a very high volume of opportunities at any given time. Monitor their site frequently for updates. The Greater Gallup Economic Development provides listings of top employers and key industries in the McKinley County region. Gallup-McKinley County Chamber of Commerce is a great resource to use for exploring area businesses, economic climate, workforce information, cost of living, and more. The purpose of the NMDVR is to help people with disabilities achieve a suitable employment outcome. Vocational Rehabilitation (VR) is a State and Federally funded program designed to help eligible individuals with documented disabilities find suitable employment. VR is a voluntary program, and services persons who want to work. The Bureau of Indian Affairs may periodically hire for various positions in the McKinley region. Andeavor is a premier refining, marketing and logistics company. Andeavor | Western Refining had open positions in Gallup for Retail Assistant Store Manager, District Manager, and Retail Store Manager. Bio-PAPPEL is a major manufacturer of paper products with a workforce of nearly 8,000 employees operating in Mexico and the United States. Their site provides an online employment application. BNSF Railway Company periodically hires for positions in Gallup. This Worklooker San Juan County directory includes Farmington, Aztec, and Bloomfield area employers, and features San Juan Regional Medical Center, Northern Navajo Medical Center, Aztec Municipal Schools, Farmington Municipal Schools, and San Juan College. This Worklooker Sandoval County directory includes Rio Rancho, Pueblo Of Laguna, and Pueblo Of Jemez area employers. This Worklooker Bernalillo County directory includes Albuquerque area employers. Listings include Pueblo Of Isleta, Rio Rancho, Kindred Hospital Albuquerque, UNM Hospitals, Lovelace Medical Center, Albuquerque Public Schools, Bureau of Indian Education, Central New Mexico Community College, The University of New Mexico, and more.